The most gorgeously modern outdoor seating option you have ever seen - the Embras Dining Chair by Modloft. 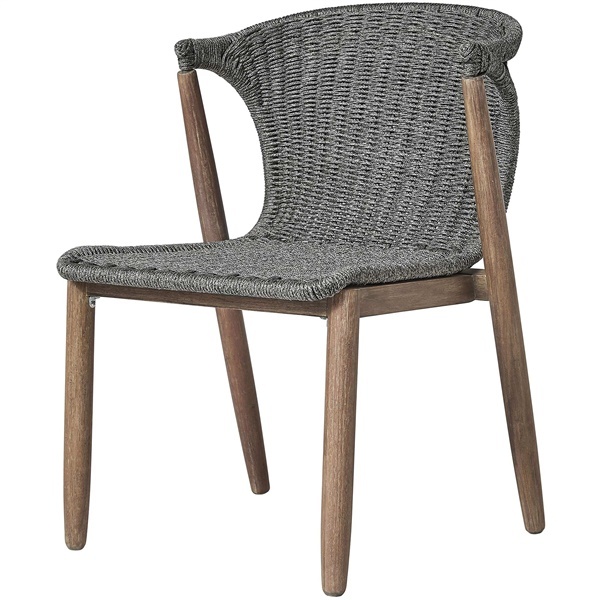 Elegantly angled legs and its unique backrest shape create an ultra mid-century style while its solid frame and regatta cord provide weather resistant protection. What is regatta cord? Is it polyester? The Regatta rope / cord material is a polypropylene.